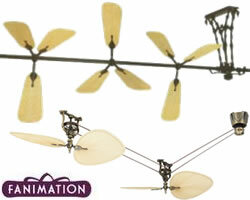 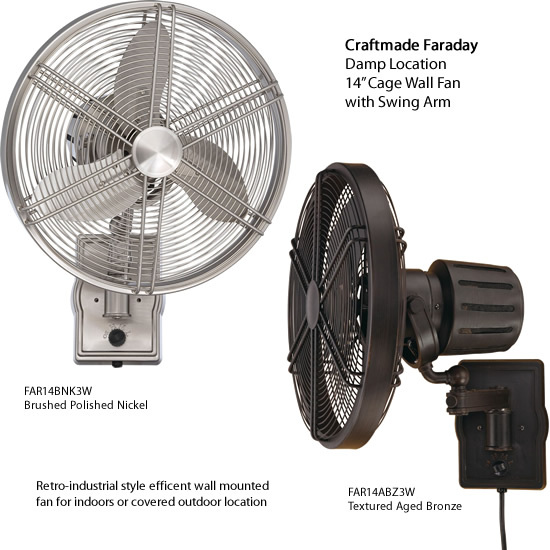 The retro-industrial style of the Faraday wall-mount fan offers more than a unique, exciting look. 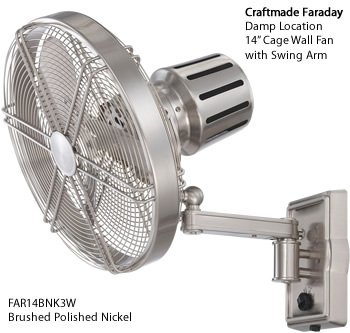 Faraday is a versatile, flexible outdoor fan suitable for damp locations. 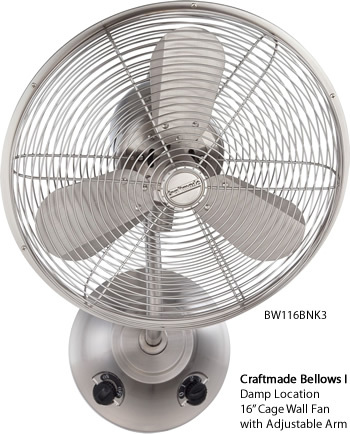 At your command, the three-speed fan delivers anything from a gentle breeze to a substantial gust precisely where you point it, providing cool comfort in even those hard to reach places. 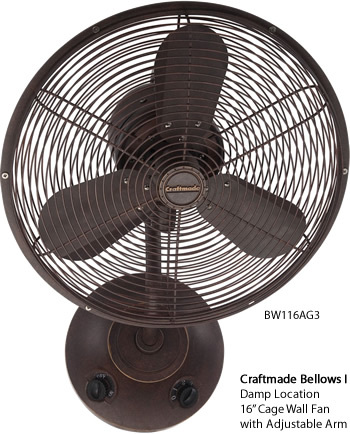 Capturing the vintage feel of the industrial age, our Bellow IV fan was inspired by a bygone era. 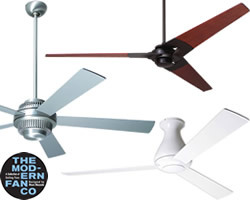 Nothing calls attention to the refined style of modern living like a carefully chosen reference to the past. 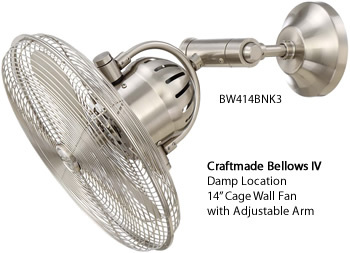 The high-powered, wall-mounted Bellows IV fan provides a bold contrast to the latest trends in home décor. 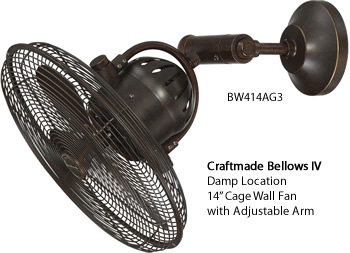 Increase your cool, indoors or out, with the Retro-inspired damp-rated Bellows I 16" wall mount fan. 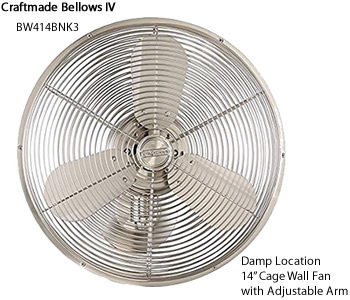 with a heavy-duty, 3-speed oscillating motor and 14" blades, this wall-mounted fan combines the retro style of a table fan with the power and efficiency of a ceiling fan. 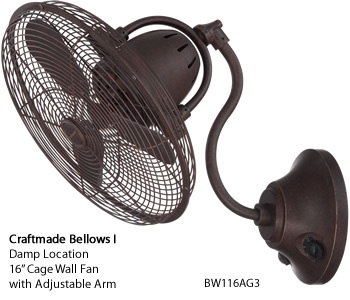 Finished in your choice of Aged Bronze Textured or Stainless Steel, it features separate knobs for oscillating and speed control. 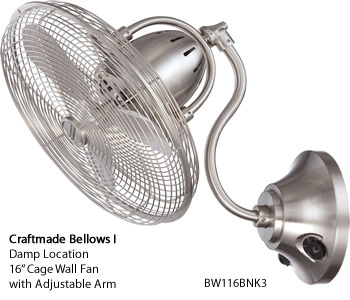 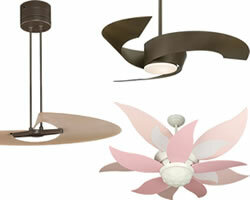 The fan can be hung and plugged in, with 40" corded plug or hard-wired if necessary.